There are a few good spots around Carbondale. is not a lot but if you live nearby these spots can keep you busy for a few hours. 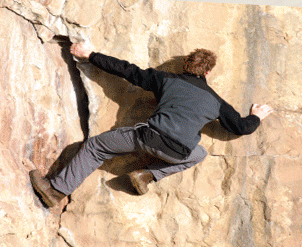 can find high quality conglomerate boulders and some interesting ice climbing. is Gravity Hill, a hill that magically pulls your car up it while its in neutral. Don’t believe me, Google it.Its also home to some of the best chicken wings. Seriously the best wings in the world!